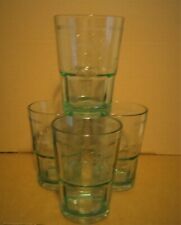 YOU ARE LOOKING AT BACARDI RUM & COCA COLA GLASSES. 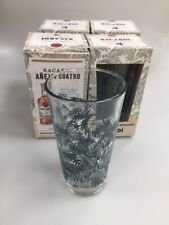 SAYS BACARDI ON ONE SIDE AND COCA COLA ON THE OTHER, PICTURE SHOWS BOTH SIDES OF THE GLASS. TOUGHENED GLASS. CAPACITY 12oz / 33cl. YOU WILL RECEIVE 6 OF THEM. 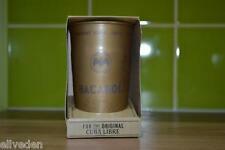 From Bacardi Cuba Libre - Superior Gold Rum. Wash before use - dishwasher safe. NOT SUITABLE FOR MICROWAVE USE. Size - 25ml. 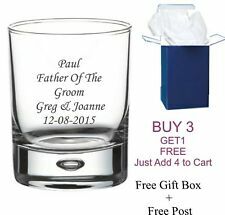 Quantity - 2 Glasses. A bit about BrewerianaUK. 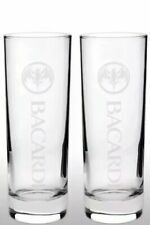 From Bacardi Cuba Libre - Superior Gold Rum. Wash before use - dishwasher safe. Very nice collectors set. NOT SUITABLE FOR MICROWAVE USE.